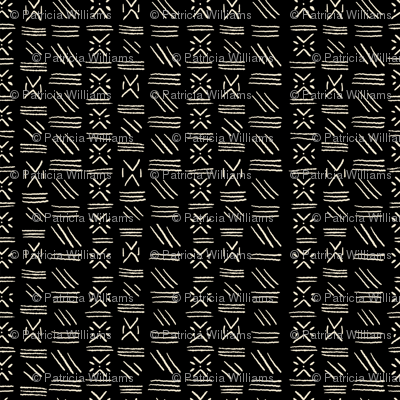 Black and ivory African inspired printed mudcloth fabric. 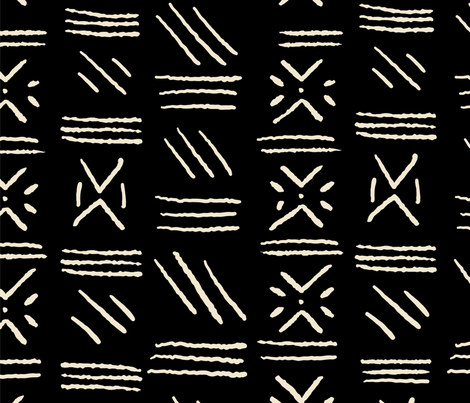 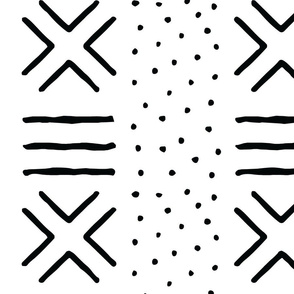 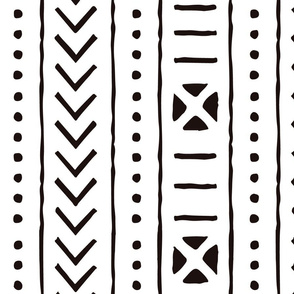 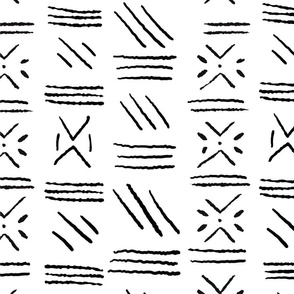 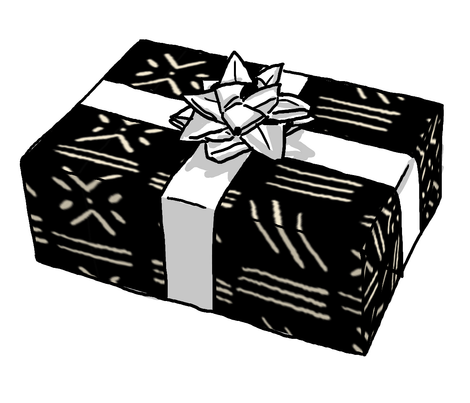 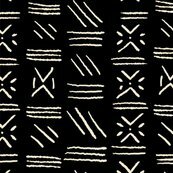 Pattern made up of various African Adinkra symbols. 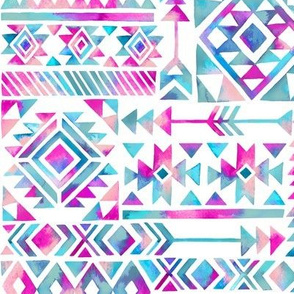 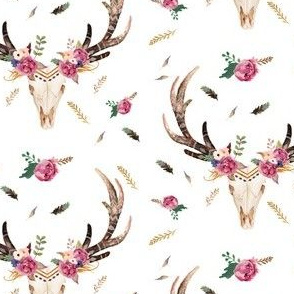 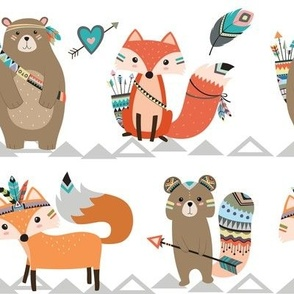 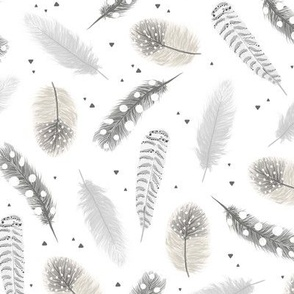 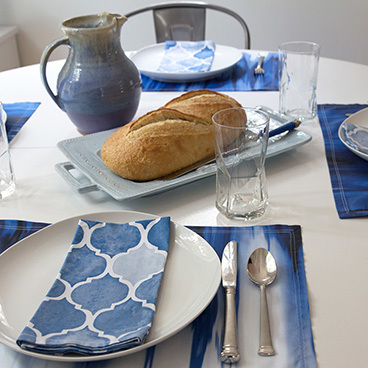 Use this fabric for home decor such as drapes, decorative throw pillows, table cloths, shower curtain, etc.